One of my facebook acquaintances had a status update requesting her friends to suggest a few books to her. That's where I picked up the name of this book and went and bought it the same day from one of my favorite book stores in Delhi [Full Circle]. Having read The Kite Runner I was excited to start reading the book immediately. Despite of the long tiring day I had had, I tried to read a few chapters to get the feel of the story. [I seldom pick up books after reading their reviews. Mostly I prefer word-of-mouth]. From the word go the book engrossed me. It's tone is set out to be heartbreaking from the first page but it has an element of curiosity which doesn't let you put the book down. The story is set in Afghanistan. Over the period of 30 years, it narrates the story of two women, Mariam and Laila, and their journey of discovering themselves and an inconceivable friendship. The books covers all facets of life from class, culture, religion, education, marriage, parenthood, sexuality and patriotism. Moreover, it covers all these facets from a noteworthy 'female' point-of-view! The author clearly states that it's a work of fiction however the description of Soviet invasion to the inception of Taliban gave me an insight into the country through the eyes of a 'probable' citizen [Khaled Hosseini]. The story is very neatly woven along with the country's history, without making it a History Textbook. Hosseini's eloquent writing paints a harsh yet vivid picture of what religious fanaticism can do to a culturally rich society. The books left me more aware of how much I have to be thankful for and how hard life can be on some women fighting to survive in a civil uproar and a tyrannical regime. I have a travel bug in me and so far Pakistan was probably the only 'controversial' destination on my list. However, after The Kite Runner and A Thousand Splendid Suns, Kabul (Afghanistan) has also made it to my list. I had an amazing afternoon with delicious food and lovely company [of my cousins and uncle/aunt and neice/nephew]. Behind you can have a glimpse of the city of Delhi and the Talkatora Statidum where Commonwealth 2010 will take place in October. These are one of my favorite pair of pumps. I digggg the military green color and also the touch of bow! These jeans are amazing by the way! love the top :-) ur hair looks LONG! 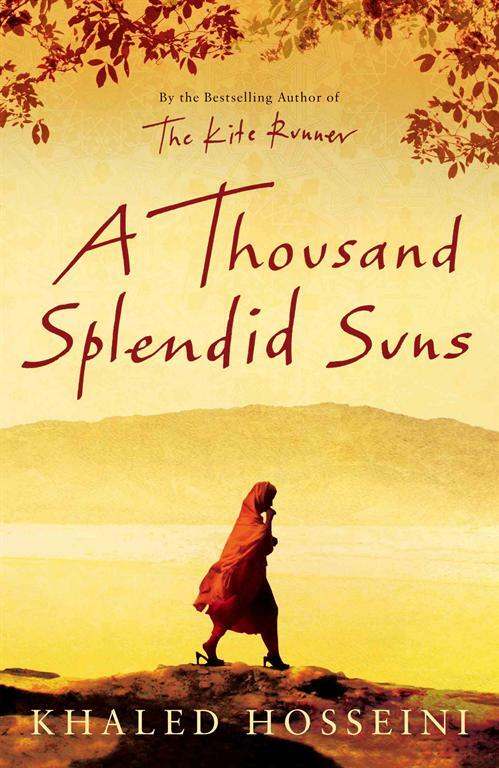 I loved the Kite runner but was not a big fan of A thousand splendid! Taj - You are most welcome. I liked your blog too. Great book! Great review too! i want to read this book! i've heard from a few people that this one is so good, and now i have to get it! your blog is great. i love seeing your life. how cool! thanks for letting me find you! Amanda - Let me know what you thought when you finish reading the book! :) Thanks for dropping by my blg! .. I have been reading your blog quite a while now and was also going through the archives..'A Thousand splendid suns ' is an amazing book. read quite a while back borrowing from a friend... Its full of hope and kind of give you a stimulus to hold onto life when you fill like you dont have the energy or desire to breathe even..